Connect to your home network. 4tune can be easily connected to your home network through wired or wireless connection with built-in WLAN. Internet connection is strongly recommended to maximise viewing experience and benefits. 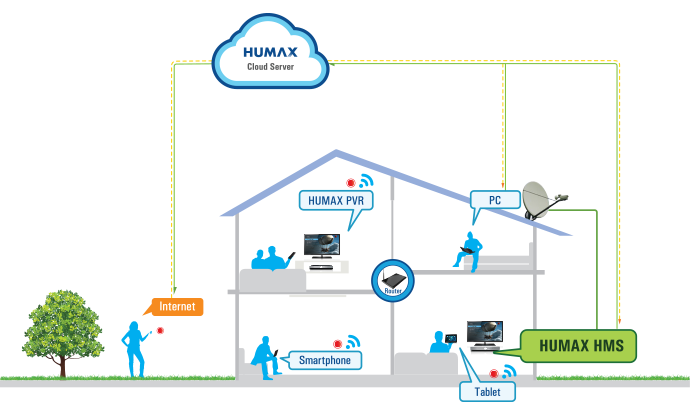 Internet connection is required to enable IPEPG, HbbTV and TV Apps. Play media contents on other networking devices. 4tune will show media contents from other networking devices in the same network on Media center. 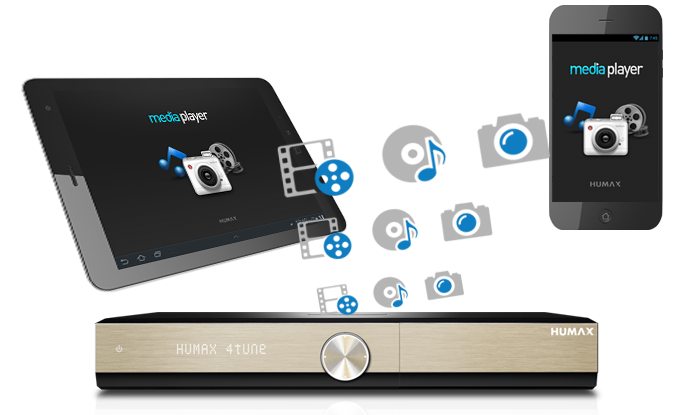 4tune wirelessly streams media contents from mobile devices. 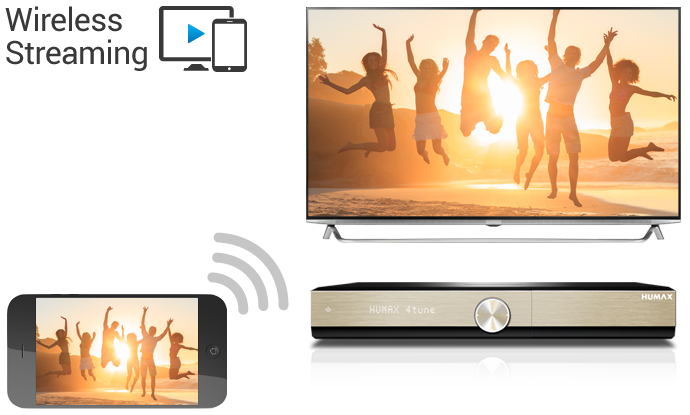 During wireless display you can play or control a media content with 4tune remote control. 4tune is Bluetooth compatible. If you have Bluetooth headphones, keyboard or mouse, connect them to 4tune! One device is connectable for each audio (Headphone, sound bar), keyboard and mouse. There are various ways to copy and move files to and from 4tune, including over the home network. This is a great way to copy and move files without physical USB storage.